Welcome to the City Administrator/Finance Director section. The Administrator provides assistance to the Mayor and Council. Is responsible for the day-to-day operations and exercises supervision over all municipal employees either directly or through Department Heads. Assures that assigned areas of responsibility are performed with the budget by providing financial advice; monitors revenues and expenditures and prepares and submits a preliminary annual City budget. 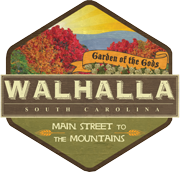 Provides the public with Information about the City of Walhalla’s operating budget and audited financial statements, adopted city ordinances and other pertinent information. Establishes and maintains internal control and makes sure all State and Local Ordinances are followed.